The staff are very friendly, they will greet you every time they meet you. They are very helpful to introduce the places to visit near by. 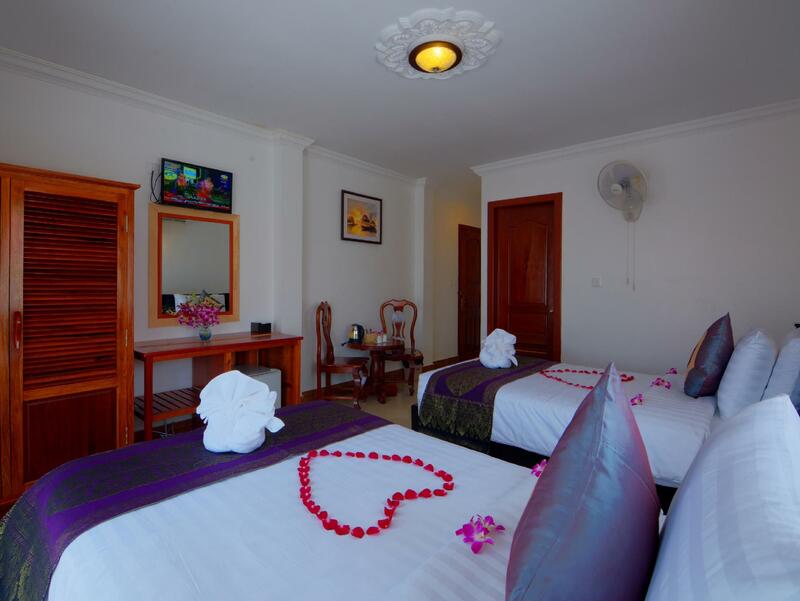 The room is nice and comfort, that you can really get a good rest after a long day tour. Location is good, within walking distance to Pub Street, and there are some restaurants at same street with the hotel that offer cheaper food. Everyone here will do whatever they can help, and you will always be greeted with a broad smile, they really are the loveliest of people. The room & the hotel was very clean. 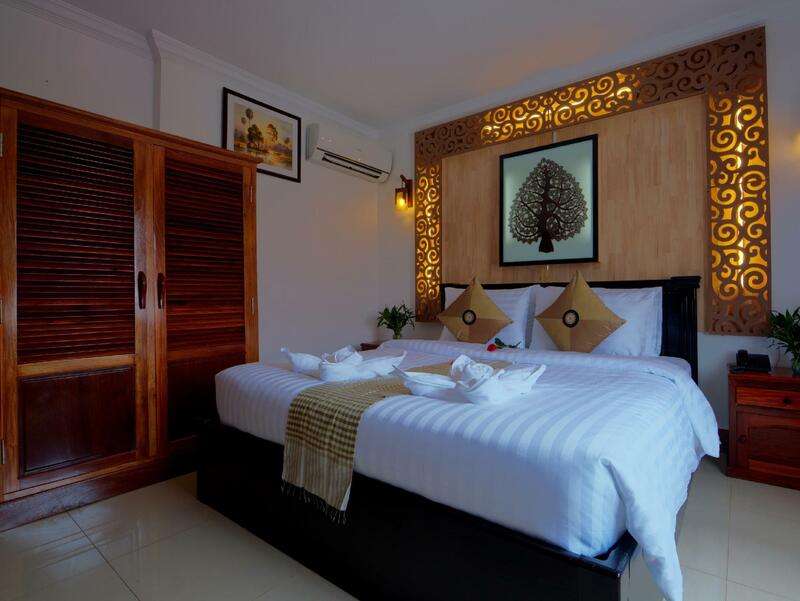 Location is great, Siem Reap has changed enormously since I was last there 10 years ago, it's expanded and become much busier and with way more facilities and modern shops and supermarkets etc. The hotel is a stones throw from all of this, but the location is nice and quiet, and surrounded by loads of locally run restaurants and cafes, which are all superb... ie if you're looking to hire electric bikes to whizz around the temples yourself, you can't go wrong with Blue Electric Bikes, in the next road! I felt comfortable here. The staff were nice. They also helped us to book other services like tuk tuk, car, entrance tickets. 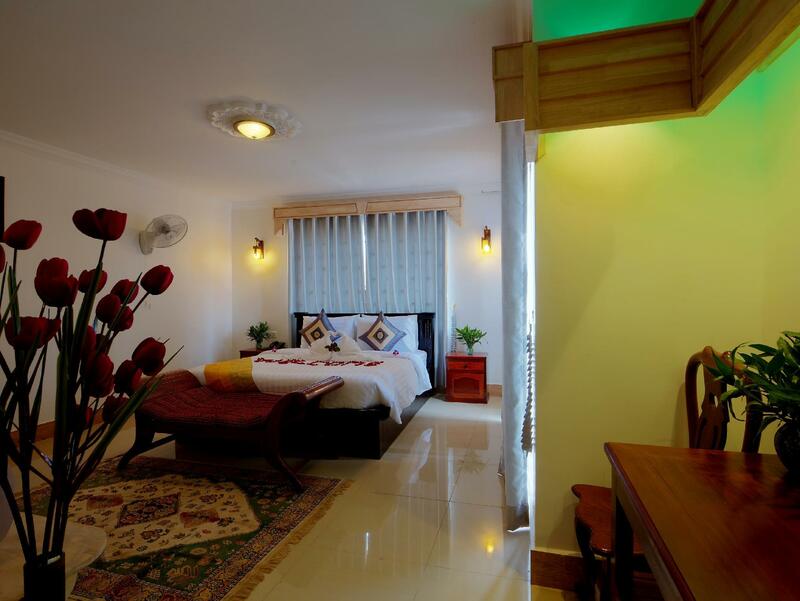 The location is good since it is at the central and near the night market. The room is clean. 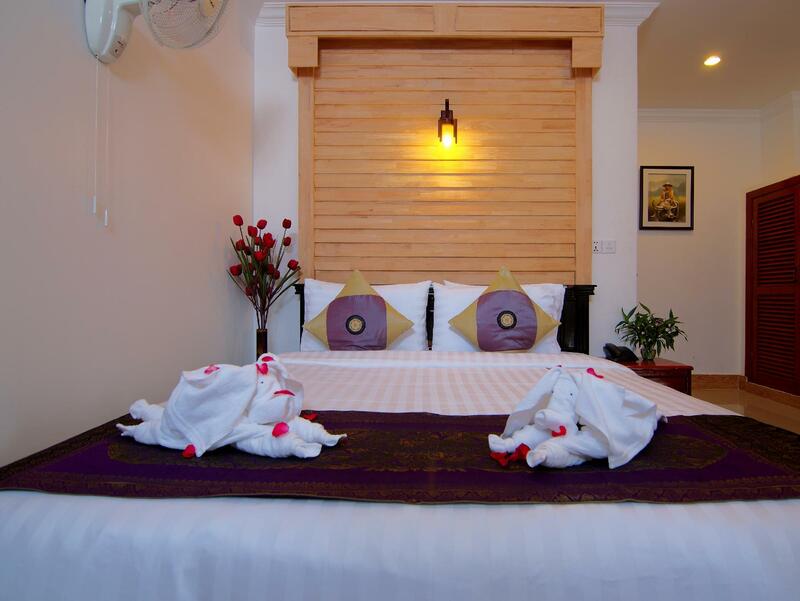 This hotel was in a great location, near Pub street and the markets but on a quiet street so you can sleep at night. What really makes this hotel is the staff who work here they are so helpful and polite, they will do all they can to help you. 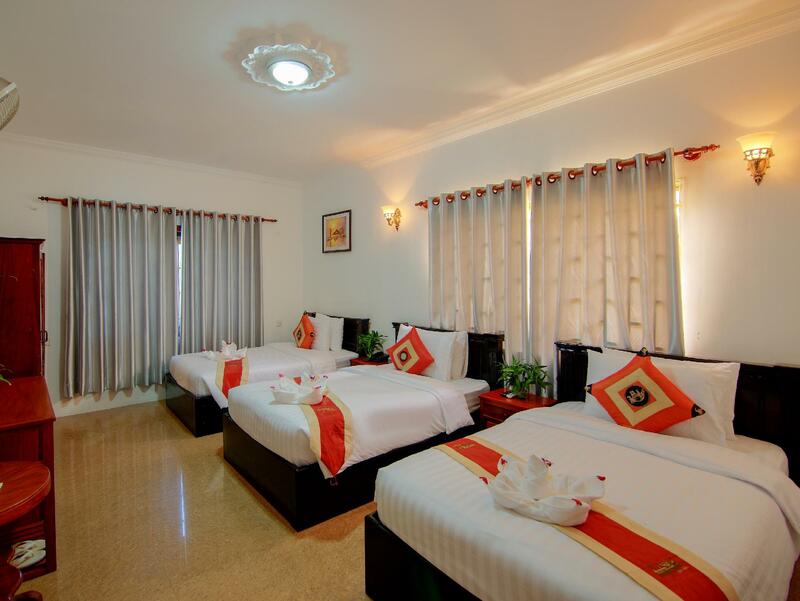 The rooms are spacious and are cleaned spotlessly everyday, they also have a wide selection of breakfast and a pool.